This is my fifth end of the year favorites post, and sadly, my last. 🙁 I’ve had so much fun doing these! But next up is my full year in review which I’m REALLY excited for! Since I’ve already shared my favorite characters, blogs, and books and my least favorite books, I thought it’s time to share my favorite covers. Some of these are books I’ve read, some I still haven’t, but they all have one thing in common: absolutely gorgeous covers. If a book has a beautiful cover, I’m basically sold on it right there. I know, I know, don’t judge a book on it’s cover, but it’s so hard not too when there are so many beautiful ones out there! Some books have such beautiful covers though, the books are actually huge disappointments, but some of my favorite books are also my favorite covers, so you never really know what you’re getting into. Still, I LOVE covers! You can even find me drooling over them while I’m staring at Bookstagram because ALL THE COVER LOVE! Without further ado, here are my favorite covers from 2016 book releases. 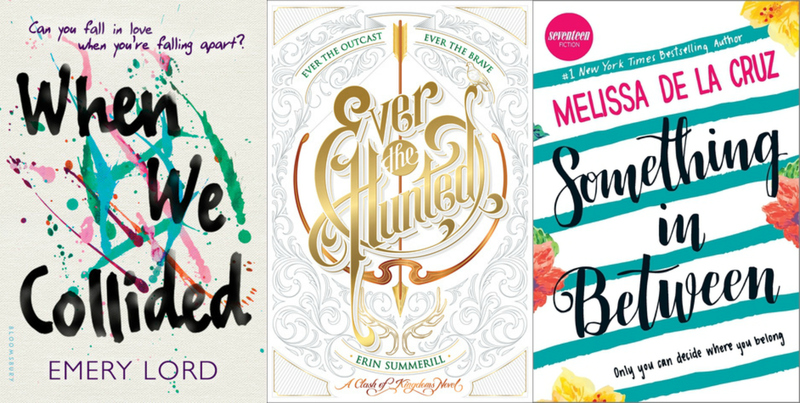 Are you prepared to gush about all these gorgeous books with me? Because if not, you better prepare yourself. Some serious cover love right here, am I right? This cover is so beautiful. I love the fonts and Audrey Rose in that beautiful dress holding a knife and being all fierce. And I love the street view below with the dress and aghhh it’s just so beautiful. I actually have like no clue what this book is about and I really have no desire to read it, but that cover is mind blowing. Whoever designed this one deserves an award for how beautiful it is. The font and art is just stunning. Let’s never speak of the cover change for this series because this book is gorgeous. I was so excited for the cover reveal of book two but only to find out they changed it. ;( But I love the lacey design on the top with the ominous vibe that it gives off. It fits the book really well. I don’t know why, but I really love this cover. It’s so creepy looking with the fall leaves and then the doll lying down like that. Just by looking at the cover you can tell this book is going to be A) very creepy and B) very dark. Do you notice a pattern here with these ones? *cries because this book is so beautiful* I bought this book forever ago BECAUSE of the cover, and then I ended up really enjoying it. The paint splatters are so pretty and I really love the color scheme and font, too. By far one of my favorite covers from 2016. This cover is really simple, but really beautiful. In person the font is printed on this really shiny paper so it shines in the light and then when you tilt it turns silver. I’m not really sure how to explain it, but this book is gorgeous, even more so in person. I just love everything about this cover. Plus it looks so good in photos! the bright colors really pop out and the floral designs are beautiful. I want whoever designed this cover to design a book cover for me, and design my blog for me because it’s just that gorgeous. The night sky with the mountains are so pretty. It’s so gorgeous in person, too. Looking at the cover online does not do how pretty it actually is justice. The other two in this series were pretty, sure, but this one is by far the best. This will forever be one of my favorite covers. I love purple and I love anything floral, so of course I’m sold. The weapon just makes it even more beautiful. Another cover buy (though I did end up falling in love with it). Not only did I read so many great books this year, but I fell I love with so many beautiful covers. 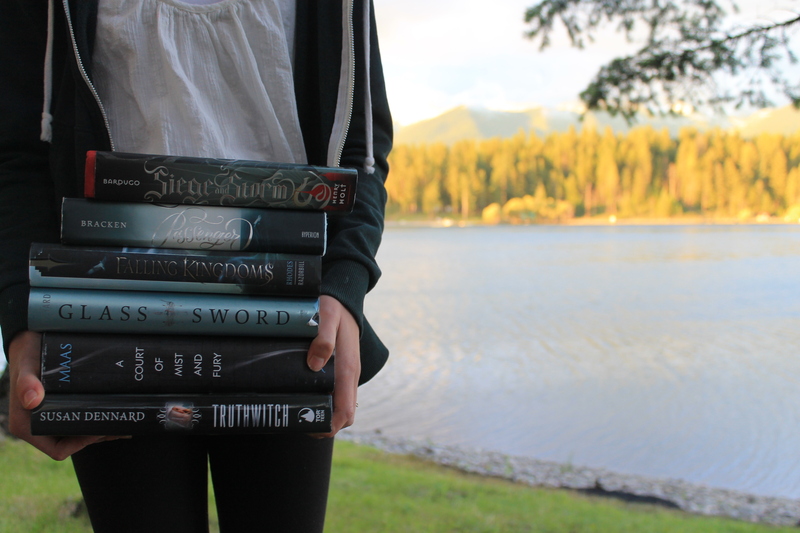 I just want to hug and stroke and stare at these books forever (not in a creepy way…). What were some of your favorite book covers from this past year? Any I forgot? I really liked And I Darken! I haven’t gotten around to Passenger yet though. You’re right-these all have such beautiful covers! I adore the covers of And I Darken (and I adore that book with everything in my soul) and Passenger (which I have yet to actually read). Some of my other favorites this year are We Own the Night by Ashley Poston, Heartless by Marissa Meyer, and This Savage Song by Victoria Schwab…though, of course, there were so many gorgeous covers this year, that’s only a few. It was such a good book <3 I really enjoyed Passenger, but I know it got mixed reviews mainly because it was so slow. Heartless and This Savage Song are my favorites as well! I've never heard of We Own the Night though. I loved Passenger and When We Collided, too! But i think my favorite cover of the year is A Million Worlds With You. All of the covers for the Firebird trilogy are absolutely gorgeous! Oooh, yeah! That’s a really pretty one 🙂 I haven’t read that trilogy yet, but I really want to. The covers are amazing! I definitely judge books by their covers, I’m not gonna lie. Passenger has a fantastic cover—it’s just so striking!! I know! It’s one of my fall time favorites. So many pretty covers! I really do love The Dark Days Club cover, and the colors in Even if the Sky Falls are gorgeous! (though I’ve never even heard of the latter book, somehow :O ) And I Darken is also a knockout. 🙂 Great choices! I’ve never really seen Even if the Sky Falls anywhere but Goodreads, so that’s how I found it. 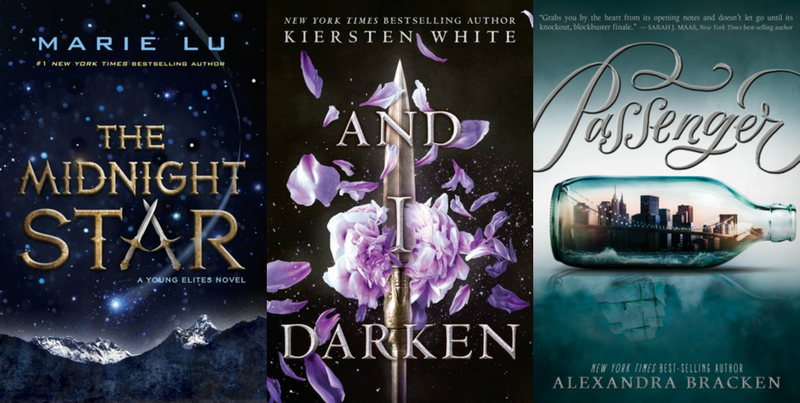 The Dark Days Club and And I Darken are so pretty! OMG THEY’RE ALL SO PRETTY! Seriously, there were some gorgeous covers this year! Out of your list, I think my absolute favorites are AND I DARKEN and WHEN WE COLLIDED. The colors and art are all so amazing! Thank you! I really enjoyed Passenger, but I know some people didn’t like it because it was really slow. The cover is so gorgeous though! ACOMAF has such a pretty cover, too! I’m excited to see the cover for ACOWAR 😀 I love that cover for bone gap, too!